A Ouija board or planchette is a flat platform that has letters, numbers and other signs on it. People ask a question to the ouija board, and a movable piece on the board moves to the symbols, slowly spelling out an answer to the question asked. The board is believed to be created by Charles Kennard of Chestertown, Maryland, who asked coffin maker E.C. Reiche to make several for him, but Reiche says Kennard stole the idea. Referred to as a "spirit board" or "talking" board, the Ouija dates back to the late 1800s, when at the height of the spiritualist movement, it was a popular parlor game. Over the years, many manufacturers have marketed Ouijas and other "talking boards." Apart from the familiar Ouija board marketed by Parker Brothers (now part of Hasbro), there are at least eight other styles of talking boards that work in a similar fashion, with a pair of hands resting on a planchette that points to words or spells out answers to questions asked. Many people believe that spirits make the Ouija's plastic planchette move because the idea that their subconscious is doing it doesn't make sense to them. Others believe that the Ouija board tells them that the spirits are making it move. It is not uncommon for people to ask who is controlling the board during a session. Often, the Ouija will oblige people, spelling out a name unknown to them, or spelling the name of someone important and personal, such as a dead relative or friend. Further inquiries sometimes reveal that the controlling spirit died recently, or another type of significance. Ouija boards can provide cryptic messages and even warnings to people. People tend to take these messages at face value and rarely wonder if they could be coming from their imaginations. First, choose one person to ask the Ouija board questions. Then, place your fingertips lightly on the edge of the planchette. Have another person do the same on the opposite side. Move the planchette in circles around the board to get it "warmed up." At this time, in the beginning, you can also decide to develop a ritual. The designated person to ask a question now does so. It is likely that there will be no quick response initially. The planchette may begin to move, slowly, and seemingly on its own. The planchette will spell out an answer to the question asked by sliding from one letter to the next. More questions can be asked to the board as the session progresses, and speed will likely increase, as will its responses. Questions are often answered with meaning or dark significance. The manufacturer suggests that the Ouija board is simply a harmless game. 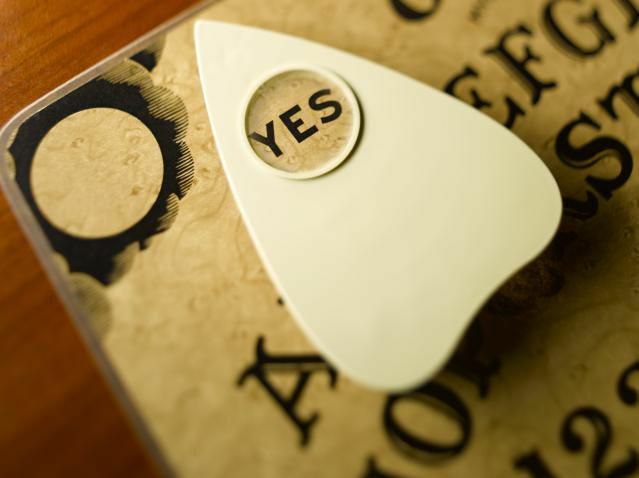 A poll performed by readers on a popular publishing site found that 65 percent believed the Ouija board to be a sinister and dangerous tool. While a large percentage of respondents (41 percent) believed that the board was controlled by the users' subconscious, 37 percent believed it was controlled by spirits, and 14 percent feared that it was under the influence of demonic spirits. The Spiritualist Theory: In this theory, it is believed that Ouija board messages come from forces beyond our control. You contact or "channel" these entities through the board, and they are discarnate spirits, ghosts, or other ethereal beings who have a purpose for contacting the living. Many advocates of the Spiritualist Theory believe that there is no harm in contacting the other realm because most spirits are benign and have important information to share. Other Spiritualist Theory supporters believe that no one should ever use the Ouija board, as malevolent forces can masquerade as good, and cause emotional damage or death to the user of the board. As proof, supporters offer the many accounts of spirit possession reported by "experts" on the occult and demonology. The Automatism Theory: With the Automatism Theory, the clinical term "ideomotor response" is at play here. 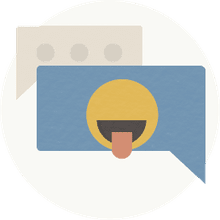 The idea is that, while you may not know that you are moving the message indicator, you are. Similar to automatic writing, this theory is also known as automatism, and is a well-understood phenomenon. Mediums in years past would hold a pencil in one hand and pay no attention as it wrote furiously. Some believed that these written messages came from the spirits, while others felt that the messages came from a clever medium. Most proponents of the Automatism Theory accept that it is likely to move the planchette unconsciously and claim that the Ouija board opens a shortcut from the conscious to the subconscious mind. Collective automatism occurs when more than one person is operating the board. The Skeptic's Dictionary says that the ideomotor effect is an involuntary and unconscious motor behavior. The phrase "ideomotor action" was coined by William Carpenter in 1882, during his discussion on the movements of dowsing rods and pendulums by dowsers, and table-turning by spirit mediums. The movement of pointers on Ouija boards is also due to the ideomotor effect. According to Carpenter, the mind can initiate muscular movements without the person being aware of it. Furthermore, suggestions can be made to the subconscious mind and affect how the muscles of the hands and arms move in subtle ways. What seems to be paranormal, he believes, is purely physiological. Autosuggestion: Autosuggestion is where the participants unconsciously control the movement of the glass or pointer. The combination of the random and minor spasming of the muscles of the participants drives the glass in a random direction, similar to the Automatism Theory. Self-delusion: This theory holds the belief that participants subconsciously control the movement of the glass or pointer. This is also like autosuggestion, except that one or more of the participants controls the movement of the glass, albeit subconsciously. Telekinesis: If telekinesis, or psychokinetic ability, exists, there is a possibility that in a séance the questions are answered by those who ask them. The participant who knows the answer also controls the movement of the glass or pointer. Telepathy: It is a possibility that in a séance, the questions are answered by those who ask them. If telepathy exists, the answers are broadcast and the whole group then subconsciously knows the answer, and they all ensure that the correct answer is achieved. Ouija can be taken so seriously that it is suggested that certain rituals be performed before a session to "cleanse" the board. For example, lighting white candles or taking extra caution to use the board on poor weather days are two recommended rituals. "Do not choose a place where you suspect earthbound entities are gathered: graveyards, haunted houses, sites of tragedy. Choose a place that feels good—has the right vibrations, a home where loving people live, or a room usually devoted to learning and meditation." Is Using a Ouija Board Actually Dangerous? How Do You Use a Ouija Board?